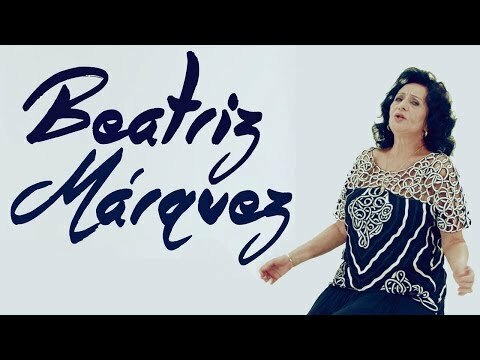 A wide-pitch, authentic and melodious voice capable of transporting us to unforgettable moments, all these features constitute the main qualities of Beatriz Márquez who, since her very first presentation in public was labeled as "La Musicalísima" (The Master of Musicality). But Beatriz is more than that, she is talent, rigor, passionate devotion, even magic for her voice establishes a pact with the audience: to see her again and follow her performances. She was born in a musical family. At an early age she studied piano, music theory and musical appreciation at the Amadeo Roldán Conservatory in the City of Havana. Later on she studied singing and choir direction at the Higher School of Art. In 1968 she was presented for the first time as vocalist of a musical group where she remained for two years. In 1970 she made her debut as soloist and began her professional career. Since then she enjoys the popularity and affection of the Cuban pe ople. She masters all genres of popular music since Beatriz Márquez was born with the gift of great talents. One feels moved whenever she sings a bolero, a guaracha, a jazz-style theme together with the famous Chucho Valdés and, not enough, the son and the romantic song belong to her. She masters all genres with authenticity. Her international experience nurtured in Europe, Africa and America where both the audience and the specialized critic reached the same conclusion: Beatriz Márquez is unique. Not by chance "The Musicalísima" is considered great among the great in the Cuban song. Jazz Festival (Italy, 1997) and, more recently, the International Book Fair in Guadalajara (Mexico, 2002). Beatriz Márquez has had many radio and television presentations. At the same time, she has performed in the most prestigious theaters and night clubs in Cuba. On different occasions she has been awarded prizes at national contests and festivals and has participated in more than 30 phonographic productions with three Silver Records in Cuba and one in Russia. She was awarded the National Culture Distinction which is granted to artists with great achievements in Cuba.